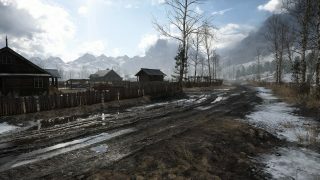 Take on an open map focused on infantry, cavalry, and light vehicles. At any moment you could fall prey to a charging Hussar. Keep your wits about you as you enter their hunting grounds in the rolling hills and farmlands of Galicia. Peeking out the trees east of the Verehia River lies the bulk of the Austro-Hungarian firepower. Shells and supplies are packed around the artillery to aid in the assault on the Russian Empire. An unassuming crook in the Verehia is pockmarked by constant artillery fire. Initially a place of little significance, through constant battle it has become a critical survival point for soldiers clinging to rocks and hiding in craters. North of the river is the still-smoking wreckage of a passenger train derailed by aerial attack moments before. Now it forms an ideal defense for the Austro-Hungarian forces. Access all maps, modes, weapons, and more of the Battlefield 1 expansions. 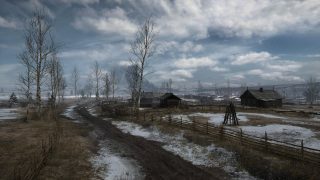 *Battlefield 1 on applicable platform (sold separately) and all game updates, internet connection, EA account, and (for console players) an Xbox Live Gold or Playstation Plus account required.